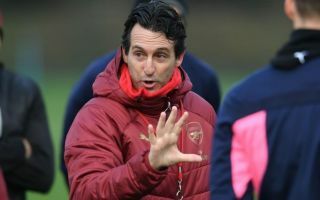 Arsenal manager Unai Emery has made the worrying claim that he’s struggling to make headway in terms of improving the team’s defensive performances. The Spanish tactician took over from the legendary Arsene Wenger in the summer and has generally got off to a decent start at the Emirates Stadium. However, the Gunners have continued to look highly suspect at the back under Emery, similarly to how they did in the latter part of Wenger’s reign. Speaking to Sky Sports, the former Paris Saint-Germain and Sevilla manager explained that he feels he has managed to improve some things at the club, but so far the defence is proving a tough job. ‘There are things we have managed to improve but there are other things that need more time, and defensive consistency is one of them. We still have a lot of work to do there,’ Emery said. He added: ‘I don’t want to lose all the good things about this team. There are times when defensively we have not been very solid, but we have still won because offensively we have created a lot of chances. Arsenal fans will hope Emery can work something out at the back, though the truth is it will probably involve some big spending that the club don’t currently look able to afford. Liverpool’s record in that aspect has improved significantly since they splashed out on the signing of Virgil van Dijk, but it’s hard to imagine Arsenal could replicate that kind of transfer any time soon.